SEM or Search Engine Marketing is closely related to SEO (Search Engine Optimization). In fact, a lot of SEM jobs will often expect you to know a bit about SEO. Because you can’t do SEM without additional skills. For instance, knowing how to work PPC advertising (i.e., Pay Per Click advertising) is almost essential for those looking to work in SEM jobs. In definition, SEO optimizes websites and web pages via content that contains selective keywords. Whereas, SEM uses advertising and promotion methods to place certain web pages and websites in the first page of search engine results. So the purpose is more or less the same for both. The only difference is the method. Plus, SEM usually uses paid advertising methods too (which is not that necessary for SEO). So paid advertising methods like PPC advertising is something the SEM professionals should know about too. The future of digital marketing jobs and the scope of digital marketing jobs in India are extremely bright and versatile. So if you’re willing to learn and enjoy working online, you’ll find SEM jobs quite rewarding. Noesys Consulting Ltd. is a company that deals with business IT solutions. The company, based in Bangalore, caters to a wide range of customers. Outsourcing solutions, business analysis, and project management are their major areas of services offered. This consulting company mainly prides itself on its insightful customer oriented approach. SEM Specialist jobs are currently available at Noesys Consulting Ltd. To find more information about this job click here . ASIAMEDIAWEB is a digital marketing recruitment service that caters to a wide range of companies. This company has a number of branches, which can be found in Mumbai, Bangalore, Chennai, Pune, and Hyderabad. The company also offers practical training courses for digital marketing aspirants and offers placement programs for the same sector as well. 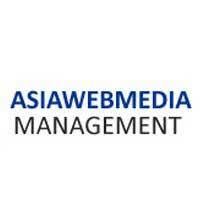 Currently, ASIAWEBMEDIA has a number of digital marketing job openings available. One of those posts is an opportunity for graduate freshers to get into SEM Freshers. Check out that job link here . Baboye is a unique e-commerce website that caters to baby products and products for kids. A wide range of incredible products can be found here that are often unique and of good quality. The website currently has digital marketing job opportunities for SEM Managers and Assistant Managers. More information about these digital marketing job openings can be found here . 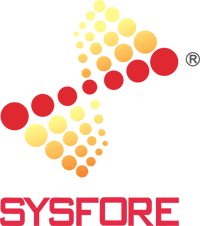 Sysfore Technologies Pvt. Ltd. is digital services company based in Bangalore. It offers its clients services like cloud computing, mobile development, and interactive web technologies. Consulting services and management services are also part of their repertoire. They have an effective SEM team. And, currently, they are looking for SEO specialists to join that team. If you are interested in the post, you can check it out here. 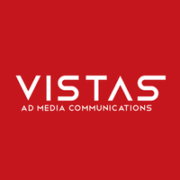 Ad Syndicate Services Pvt. Ltd. There are many different kinds ofSEM job opportunities available in Bangalore. For aspiring SEM professionals, the links given above would help to get started on their search for SEM jobs in Bangalore.